Plant these in the location that recieves full sun and add glory to your patio, cottage, scented, wildlife, and cut flower garden. They flower inperiod from May to August. Introduction and Uses: Stock plants produce small, rosetted and rounded single or double, scented flowers that are borne on long spikes. The flowers range in colors, from white to crimson, dark red, pink, rose, mauve, lavender, blue, etc. 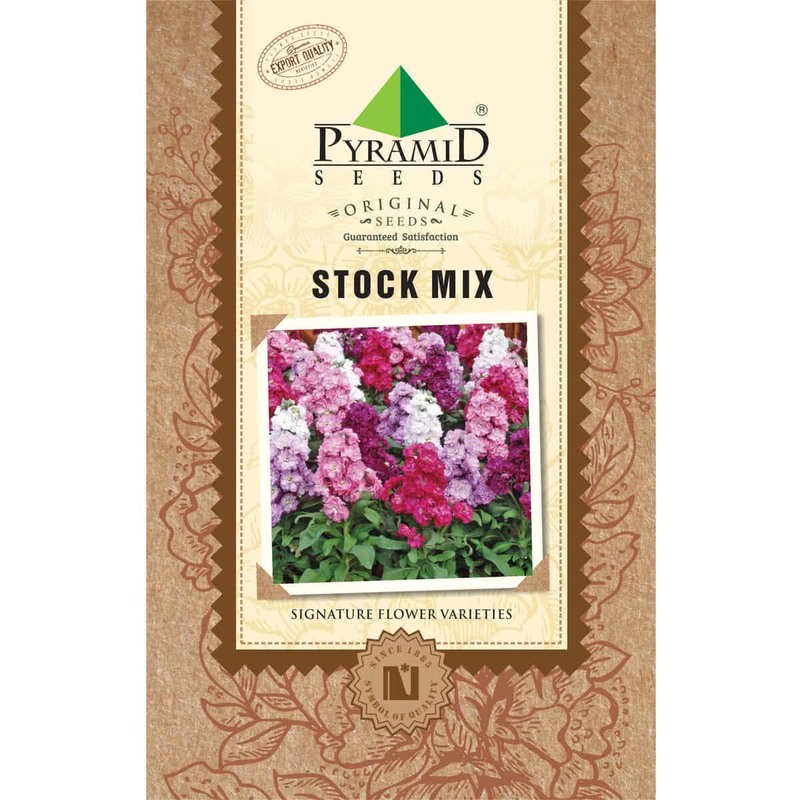 Stock plants are grown in flower beds, borders, and containers. Its flowers are widely used as cut flowers. The stock is grown by transplantation method. In India, seeds are sown from August-November for winter flowering. Before sowing the seeds, soil/coco peat is moistened slightly. Immediately after sowing the seeds, watering is done with a fine rose-can. When seedlings are about 5 cm tall, they are transplanted in pots or flower beds. Planting Distance: Plants are spaced 20-30 cm apart. For potting, 20-25 cm pots are used. Watering: Stock plants on the ground are watered twice a week, and potted ones are watered every alternate day. Young seedlings should not be overwatered. Bloom time: Plants take 3-4 months to come to flowering. Life of the cut flower can be prolonged by bruising the cut end. I love this plant, these is really easy to grow and care plant. So beautiful plant.